Close-up timber. 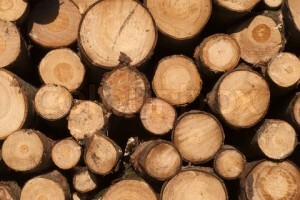 Stacked timber logs all over and close-up for industry. Tree laying on Danish harbour.